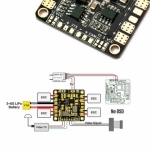 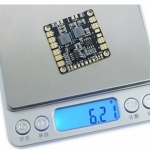 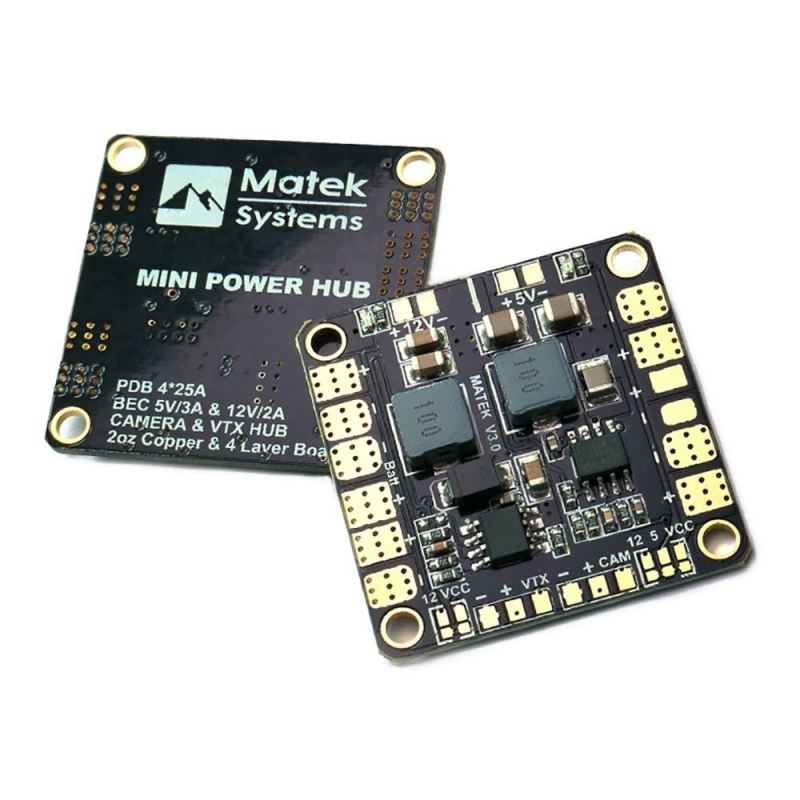 The HUB distributes power from a battery pack to 4 ESCs, as well as providing two synchronised & regulated DC outputs for powering cameras,servos, video transmitters, LEDs, etc. 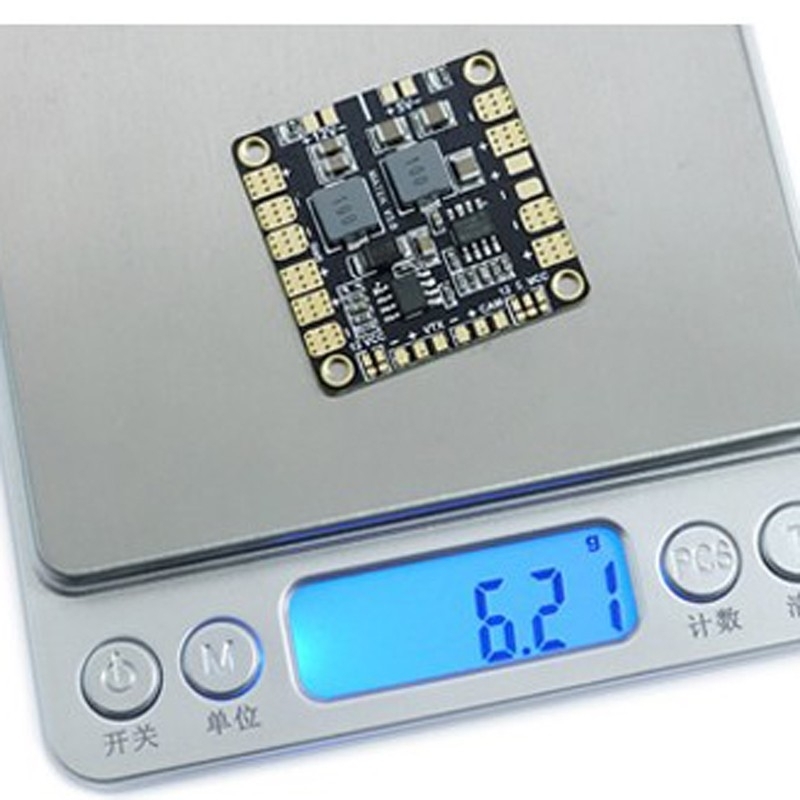 Batteries may range from 3S to 6S LiPo, and the BEC input is TVS protected. The HUB also features convenient solder bridge of various voltage for camera & video transmitter. 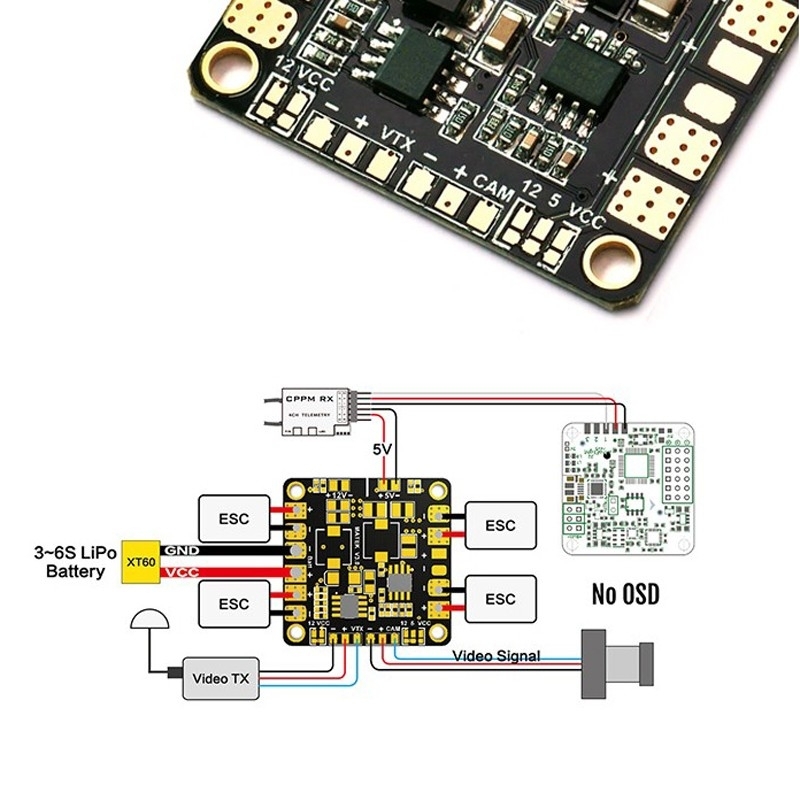 - 3S operation. 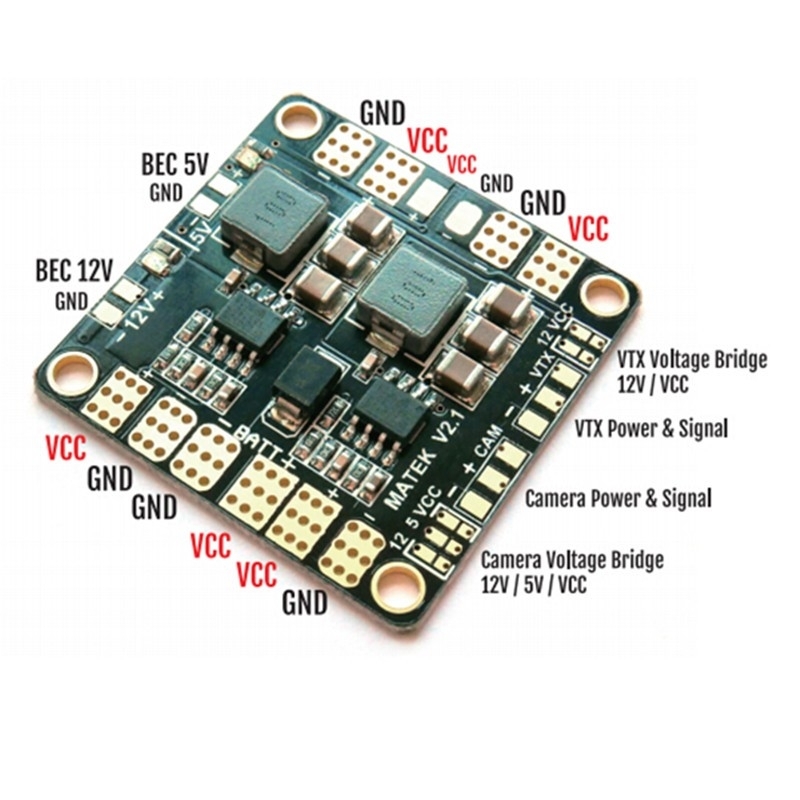 choose VCC for 12V camera & 12V VTX, VCC=Battery Voltage.